The crocheted magic ring is a great way of starting a crochet project in the round. By using the magic ring, you will avoid having the typical “hole” in your work that you get when you start a project with a crocheted chain. Using the magic ring is very typical when crocheting amigurumi. However, the magic ring is very useful for starting other types of crocheting projects in the round. We have included a video tutorial below from Crochet Geek. 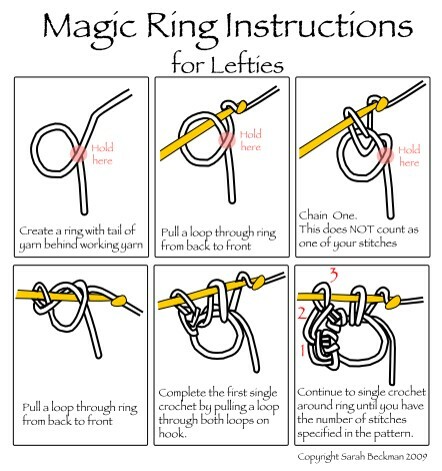 It shows you how to do the magic ring. 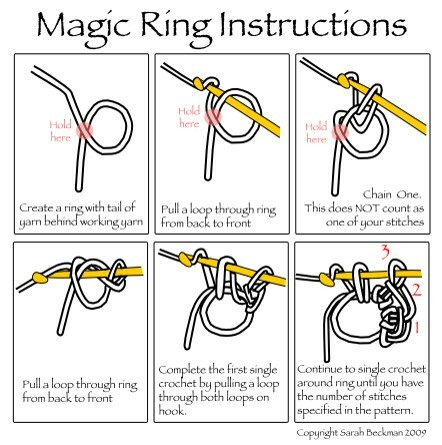 In addition, we have also included two infographics which shows how to do the magic ring. They come courtesy of Sarah Beckman! Watch this great video tutorial and see how to do the magic ring!